In addition to our conventional High Field MRI system, Seton Imaging is proud to offer a High Field Open MRI system at our Sheridan Drive location. A High Field Open MRI is specifically designed to provide a comfortable exam for claustrophobic patients without compromising on image quality. This open architecture helps to alleviate the claustrophobia that some patients may experience during conventional MRI scanning. 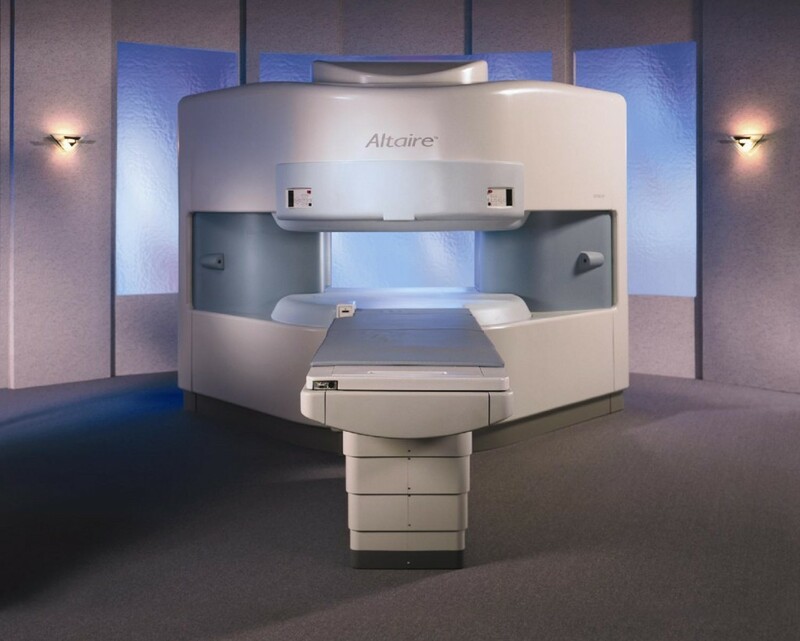 This scanner is also designed to accommodate larger patients, with a table weight limit of 500 lbs. The scan generally takes anywhere from 35-60 minutes to complete, and you will be asked to hold still during the procedure. You will be alone in the exam room during the MRI, however, the technologist will be able to see, hear and speak with you at all times using a two-way intercom. If needed, we do allow a spouse, friend or parent to stay in the room with you. Patients are also encouraged to bring their own music CDs or IPOD with them to listen to during their exam which also helps to reduce the noise. Sedation can be arranged for those patients who anticipate anxiety. Some MRI procedures require gadolinium, which is the contrast used for MRI. If contrast is needed, a nurse or technologist will insert a small IV line into a vein in your arm or hand.